Sun Temple of Modhera, Gujarat: Pride of India - Be On The Road | Live your Travel Dream! It precedes the extraordinary Konark Sun temple of Odisha (a UNESCO World Heritage Site) by over 200 years. It has withstood the test of time, elements and many attacks. And still, it stands tall and bears testament to our rich past where we were technologically advanced, exceled in engineering, vaastu, design, astronomy, geography, optics, physics, water harvesting and so much more. And all this happened in the 10th and 11th century when a stunning piece of design and architecture was created right on the Tropic of Cancer line. I am talking about the majestic Sun temple that is located in a small village called Modhera in the Mahesana district of North West Gujarat. 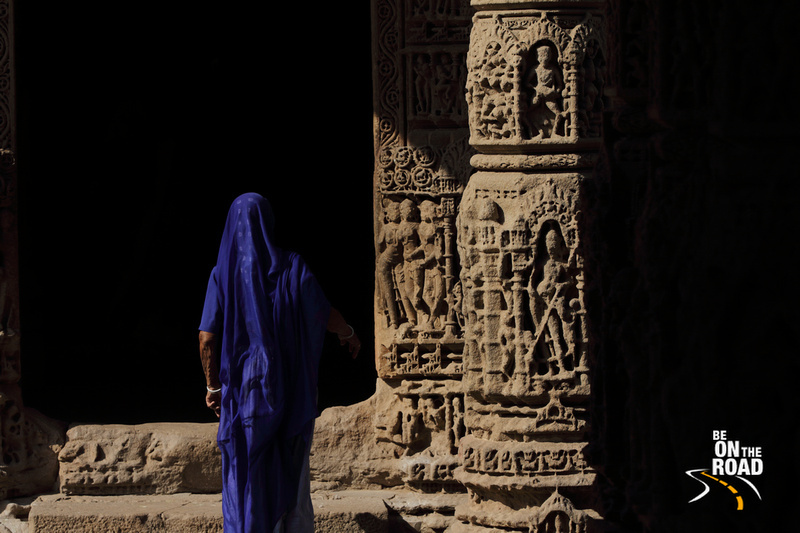 About the above video: A detailed walkthrough of the absolutely beautiful Modhera Sun Temple. The video is ~8 minutes of creative gorgeousness from the 10th century. I have tried to capture all the various facets to give you a good look and feel of this stunning temple. Do mute if you don’t like my voice over, though I think if you listen, you will get to know a lot more about one of India’s rich heritage gems. India has so much rich history and culture that begs to be explored, experienced and appreciated. The Modhera Sun temple, even though it does not carry a UNESCO World Heritage site tag, is one such place that deserves to be on the radar of all temple, art, history and culture lovers. After all, such monuments are our pride and we should see them and get to know more about them so that we can proudly talk about our rich heritage with our family, friends and the rest of the world. Built during the reign of Bhima I of the Chalukya dynasty in the 10th century, the Modhera Sun temple is dedicated to the sun god and its design revolves around the solar calendar. For example, it has 365 elephants at its base, which denotes the 365 days in a year. Then, there are 52 intricately carved pillars in the Sabhamandapa or assembly hall, which denotes the 52 weeks in a year. Then, circumventing the temple complex are 12 statues of the sun god denoting the different aspects of Surya in each month of the year. And it denotes the various gods and goddesses based on the directions they represent. For example, Lord of fire (Agni) in South East, Lord of wind (Vayu) in North West, Lord of water (Varuna or Indra) in the West and so on. Each minute element of this temple design pays heed to the directions, the play of light (sun light in different months of the year), vaastu and visual appeal. The temple complex is built in Maru-Gurjara or Chalukya style where it has three axially aligned components; the main shrine (garbhagriha) in a hall (gudhamandapa), the assembly hall (sabhamandapa) in front of it and the sacred Surya kund (reservoir) in front of it. As soon as you enter the temple complex after getting your tickets, you will walk through a green space that first leads to this massive Surya Kund or temple reservoir that has 108 small temples representing the auspicious 108 number of Rudraksha beads. Historically, people would take a bath in this Surya Kund, offer their prayer to the gods in these 108 temples before making their way to the main garbhagriha through the Sabhamantapa. The sabhamantapa, whose steps are connected to the Surya Kund is a structure that is separate from that of the main Sun temple. Every corner of this assembly hall is a visual delight. Every bit of it from the base mouldings, wall mouldings to the ceiling and pillars are intricately carved and ornamented with floral designs, figures of dancers and gods and a whole bunch of mythological stories. Small gatherings and dance performances were organized here and there are many elevated platforms where you could sit and watch these performances. Now, the main temple complex is made up of two parts; garbhagriha or sanctum sanctorum and gudhamandapa or the outer complex of the temple. There are two important features of this garbhagriha. One, on solar equinox days (September 22-23 known as September Equinox and March 20-21 known as March Equinox), the first rays of the rising sun fall directly on the diamond located on the head of the statue of Lord Surya and then this light would bounce off the walls to illuminate the entire sanctum sanctorum. Second, on summer solstice day (June 20-21 also known as June solstice), the sun shines directly above the temple at noon casting no shadow. These precise calculations were made 1,200 years ago when the understanding of optics, stars, earth’s revolution and mathematics were limited and a lot of the world as we know today were hunter gatherers. Pretty astounding, right? This diamond can be now found in a museum in London. Unlike the garbhagriha, which is pretty plain in design, every inch of the Gudhamandapa is intricately carved. The base moulding has two square members followed by a cymarecta carving (lower part convex and upper part concave). Then, there is the inverted lotus (padma) above it and then the antarita and chhaja. Then, there is the layer of elephants and then figures of men. The wall moulding or mandovara starts with kumbha, kalasha, kevala, manchi and jangha. Then there are the figures of dancers, gods and others. The figures of the Sun god holding lotuses in his arms and driven by his seven horses are the most prominent of all the figures. There are 12 such prominent figures of the sun god, denoting him in each month (from Mesh (Aries) to Meena (Pisces). And just below and beside the Sun god are the figures of other gods – Vishwakarma, Varuna, Agni, Ganesha, Saraswati, etc. based on the directions that they represent. Then, there is a victory arch like elevated building on the North East corner of the temple (Isana direction). This would have been the main entrance point to the temple, but as it is in ruins today, most visitors visit from the East direction, which first leads to the Surya Kund and then to the assembly hall and the main temple. As you can see from the images and the video, the Modhera Sun temple is an absolute delight and I think one visit is not enough to understand its true beauty and history. Do avail the services of a knowledgeable guide to understand and appreciate its history, design and engineering marvels better. Each figure, figurine, statue, carving and design elements adds to its aura and the overall effect can be quite overwhelming. It is best to do a bit of reading about this place before you go there so that you can ask all the right questions to your guide. This temple finds mention in the Skanda and Brahma Purana and in a whole bunch of other literary texts and definitely a lot on the web as a lot of people have researched, learnt and documented the history, culture and heritage of this place. And when you are there, try to see and understand the various elements of vaastu, optics, earth’s rotation, solar calendar, engineering, water harvesting and design at different sections of this architectural marvel. Modhera Sun Temple is bound to leave you spellbound and speechless! It is a rich part of our heritage and the pride of all us Indians! The nearest international and domestic airport is Ahmedabad. Modhera is about a 2 hour drive from Ahmedabad. A lot of long distance train options can be found at Ahmedabad, but the closest major railway station would be Mahesana. A lot of trains traveling north of Ahmedabad pass through this railway station. The nearest bus station would also be Mahesana. Mahesana to Modhera is about 25 kms and it takes about 30 minutes if you are driving. It is best to have your own mode of transportation for last mile connectivity. If you are looking for luxury, it is best to stay at Ahmedabad and explore the Modhera Sun temple as a day trip from Ahmedabad. If budget to mid range accommodation works fine, you can either stay at Mahesana or Patan and then make a short 45 minute drive to Modhera. If rural stays are your thing, look up the homestays on AirBnB that are run by the rural women of Gujarat along with AirBnB and a local NGO. 7 AM to 6 PM. It is best to reach the temple just before 7 AM in case you wish to photograph the beautiful facets and sculptures of the temple in the soft golden glow of the morning light.